Guide provides answers to questions such as "Do I need boots?" or "Will rentals be offered?" Need Boots: Knee-high boots are essential on sailings where you will step into icy water during Zodiac landings. 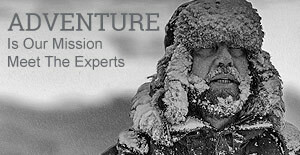 Rentals: Insulated expedition boots, waterproof pants and trekking poles are available with free delivery to the ship. Onboard Delivery: Offered on select sailings. Enjoy the convenience of our concierge suite delivery service. Place your order by date listed in this guide and select "ship delivery" at check out.